We’ve selected three midweek fixtures for our Fantasy Premier League Gameweek 15 daily picks, with goal and clean sheet potential. Whilst these selections are based on the Starting 11 game and scoring system, you may also find them useful and relevant for Fantasy Premier League Gameweek 15. Liverpool have the pick of the Gameweek 15 Daily Fantasy Fixtures, as they travel to a poor Burnley side. Liverpool have the best defence in the league, with 9 clean sheets, plus they have scored 27 goals. Meanwhile, Burnley have scored just 13 goals this season, shipping 29 in that time. It should be a landslide victory for Liverpool. With Sadio Mane carrying a knock, Mohammed Salah takes the striker spot. You’d expect him to start here and could be a captain contender: he has 4 goals and 2 assists in his last 6 games, including away goals at Huddersfield and Watford. 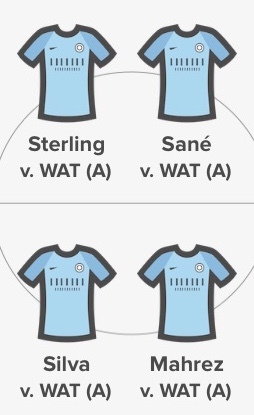 Milner was rested last time out so is due a start here, with penalties boosting his points. Liverpool have 3 consecutive clean sheets, so Alisson and Andrew Robertson take the defensive places: Robertson provides plenty of assist potential, having managed 3 already this season. Manchester City have scored 3 or more goals in their last 4 games, having now scored 43 goals for this season. Meanwhile, the Watford defence have looked leaky of late, conceding in each of their last 4 games. With results of 5-0 and 6-0 in City’s favour during Pep’s reign, could it be another City goal fest? 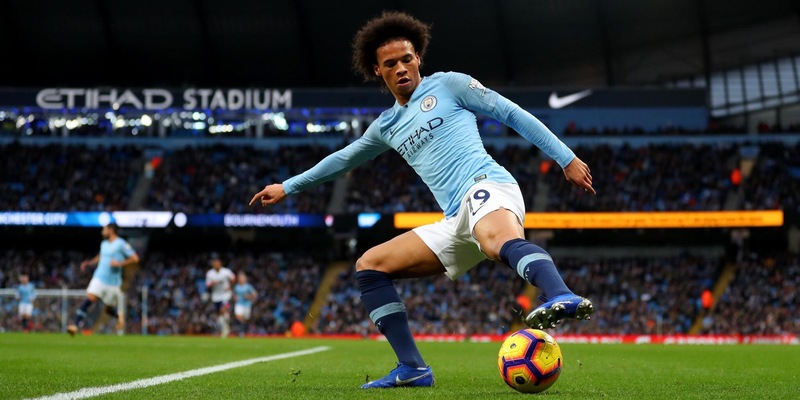 Sergio Aguero has a slight knock, so it’s wingers Raheem Sterling and Leroy Sane who get the nod as the forward selections for our Gameweek 15 daily picks. They are both in fantastic form, having a combined 7 goals and 8 assists in their last 4 games. In midfield, David Silva and Riyad Mahrez are both due a start, having been benched in the home game against Bournemouth. Silva has goals in his last 3 Premier League starts, Mahrez has 2 goals and an assist from his. Everton have accumulated 4 clean sheets this season, with 2 of them coming in their last 3 games. 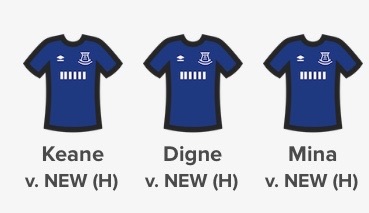 A howler from Pickford prevented them making it 3 clean sheets in a row, so they become the Gameweek 15 daily clean sheet selection. There’s plenty of goal and assist threat from the back line to boost points potential, from Michael Keane, Lucas Digne and Yerry Mina. Digne has some set piece responsibility, with Keane and Mina being the target men: goals look inevitable against this weak Newcastle side. Keane has 1 goal and 2 assists this season, meanwhile Digne also has an assist.